Microlight flying is the most exciting and cost effective way of getting airborne. 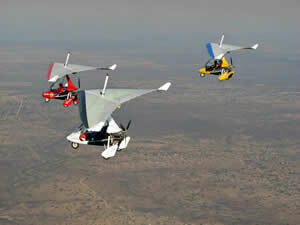 Modern two seat microlights fly at upwards of 60mph and carry sufficient fuel for a 5hr flight. If you have the urge to fly, an introductory lesson may turn your dreams into reality and soon you could be free to fly almost anywhere in the world. Indeed, members of our club often fly the length and breadth of Great Britain and throughout Europe. The pleasure is freedom! Cheshire Microlight Centre is a professional and friendly microlight training centre, encompassing both fixed and flexwing training. Operating from an established pleasant and accessible farm field site, we are free from the restrictions of busy airfields, presenting a relaxed and ideal training environment. John Bradbury is the proprietor of Cheshire Microlight Centre, a microlight instructor and examiner with over 25yrs and 11,000hrs experience. The schools other instructors are also highly qualified and experienced, all aiming to provide you with the best possible training and experience. Weather permitting; the school operates all year round 6 days a week (normally closed Tuesday). During the summer we also extend operations to make use of the lighter evenings. For current availability please contact us. 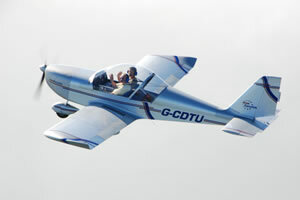 Cheshire Microlight Centre is affiliated to the Cheshire Flyers Microlight Club who meet socially at 8.00 pm on the third Monday of the month at the Wheatsheaf, Sandbach. This is one of the largest clubs in the country and there is no membership fee, so why not come along, you will be made most welcome!